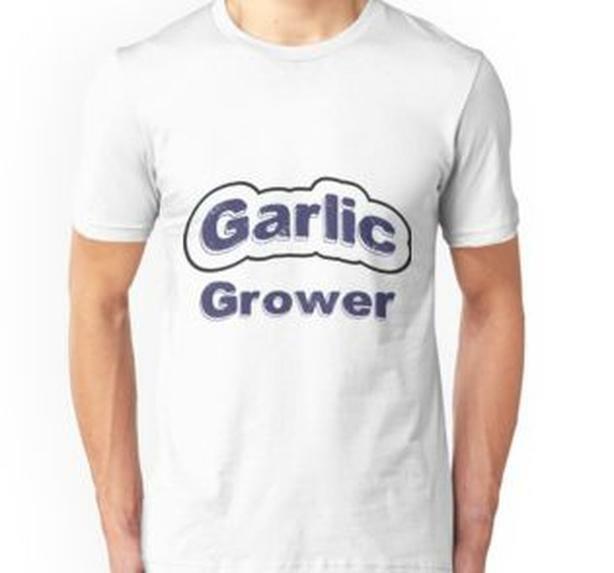 Garlic Grower unisex Tshirt, choose your size. Garlic Grower - advertise your product the easy way, on a printed item! Garlic is very popular, and the interest is high for Garlic as a food product, so why not let everyone who sees you, see that YOU are a Garlic Grower, YOU have what they want. Design is available on a variety of items that will advertise your product, so why not stock up on practical advertising goods? See in our store for more items.